We are happy to announce to the public that in May 20th-21st 2014 Prague will be hosting the first Czech Perl Workshop. This event is highly recommended for Perl professionals but also for those, who are just deeply interested in this field and are hungry for new information and ideas. Why to attend the Czech Perl Workshop? CZPW has ended up succesfully. I would like express my big thanks to all attendees for the ambience they created and all the positive responses. 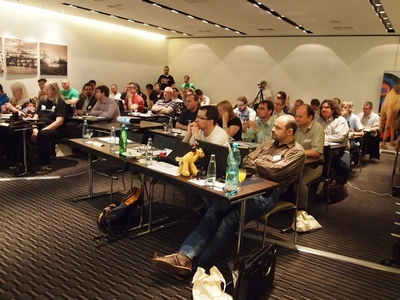 We are looking forward to the next Czech Perl Workshop 2015. CZPW je úspěšně za námi. Velmi všem za celý organizační tým děkuji za skvělou atmosféru. Vážíme si Vaší velké účasti a pozitivních ohlasů a těšíme se na Český Perl Workshop 2015.